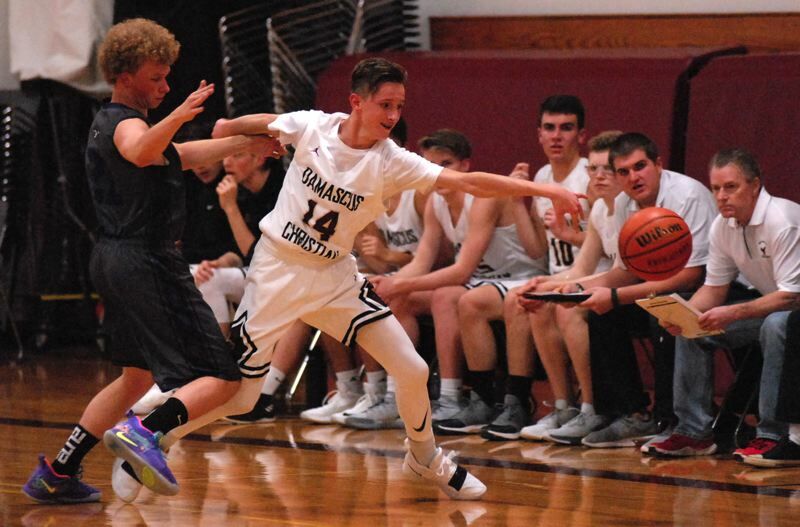 The Damascus Christian boys basketball team put together a fourth-quarter flurry to catch Central Christian with 0:05 left before taking the nonleague game 57-53 in overtime Monday night. The Eagles found themselves down 14 points heading into the fourth quarter before flipping the switch and using a full-court press to climb back into contention. "We increased the pace of the game," Damascus coach Brad Patrick said. "We were able to create some turnovers and get some offense out of our defensive effort." 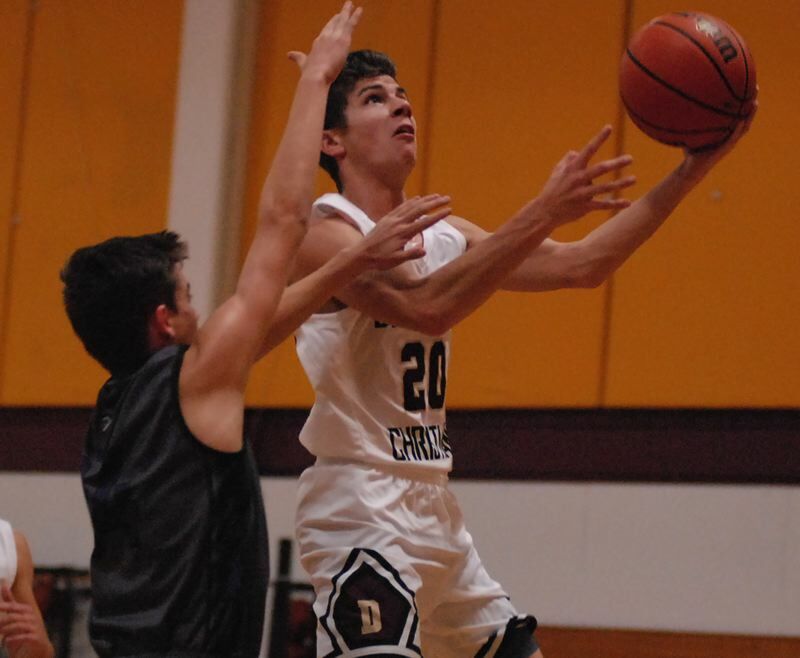 Damascus had connected on only one 3 to that point in the game, but Sam Tichenal and Johnny Shields each hit a pair to help the fourth-quarter comeback. The up-tempo style also took Central's 6-foot-4 center Jace Mills out of the game. He had dominated the painted area most of the way, but came up with only two buckets in the fourth quarter and overtime. "We forced their ball handlers to make quick decisions and that made it difficult for them to get him the ball," Patrick said. The Eagles had a chance for the winning bucket on their final possession of regulation, but Jason Budey's attempt rolled off the rim. Teammate Spencer Powers followed the play and was fouled on his put back attempt with 0:05 left. He hit one of two at the free-throw line to send the game to overtime. Damascus never trailed in the extra session with Shields hitting a bucket and draining a pair of free throws to close out the win. Central Christian jumped out front 10-3 after getting back-to-back 3s from Josh Bruce. Damascus sliced the margin to a single point after Budey made a steal along the sideline and took the ball to the hoop for a three-point play. The Tigers opened up a double-digit lead early in the second period when Mills kicked a pass to the corner where Josh Biever drained an open 3. Damascus got back to within striking distance when Shields got loose on a fast break, releasing the ball just before he flew behind the backboard and into a wall behind the court. Central stretched the margin to 30-17 by halftime on Mason Delamarter's 3 from the top of the arc. The Eagles were nearing the end of four games in five days. "Part of our challenge has been that the kids have been just exhausted," Patrick said. "We came out flat and weren't hitting our shots — tired legs." Shields finished with a team-high 18 points, while Jacob Zakharyuk scored 15. Damascus (5-1) hosts Life Christian in a Valley 10 game at 7:30 p.m. Friday and travels to Siletz Valley for a 5 p.m. game Saturday. The Damascus girls posted a shutout through the first quarter on their way to a 54-21 win in Monday's early game against Central. Kayleigh MacGibbon led the Eagles with 13 points. This story is slated for our Friday, Dec. 14, print edition.